A valuable resource, the Stata YouTube channel has videos suited for beginners learning Stata as well as for experienced users just looking for a quick reference. 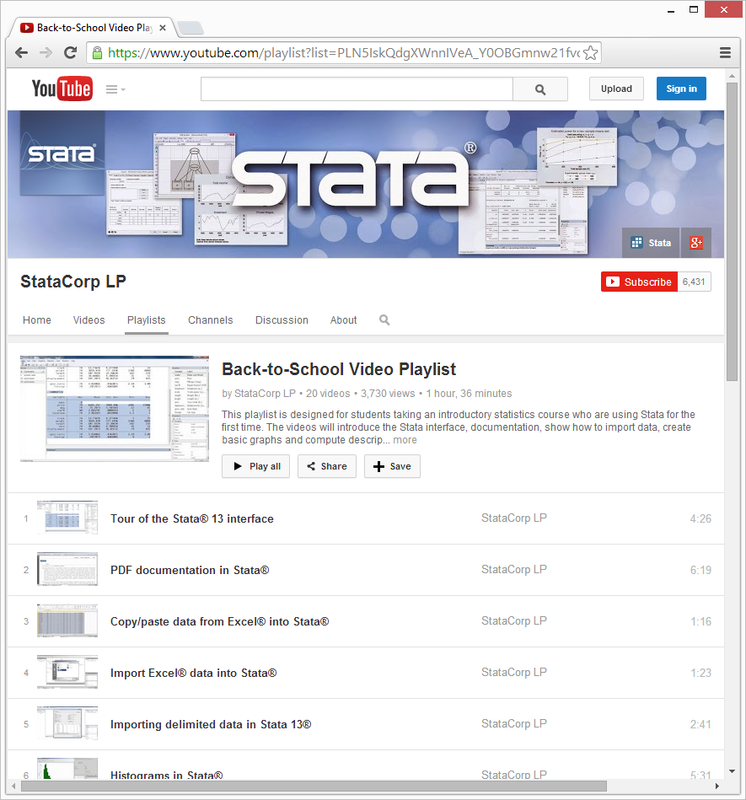 Our channel has over 100 videos to guide you through Stata. Created and narrated by Chuck Huber, the videos are concise and easy to follow. And so much more. The Stata YouTube channel is a resource you will refer to often.